Can I send Birthday Wishes from GroupMail ? 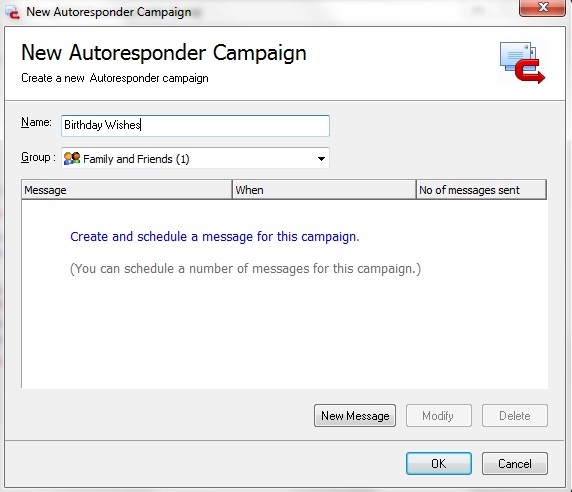 All you need to do is enter the recipients Birthday, then our� GroupMail Autoresponder will do the rest. Let’s step through an example. 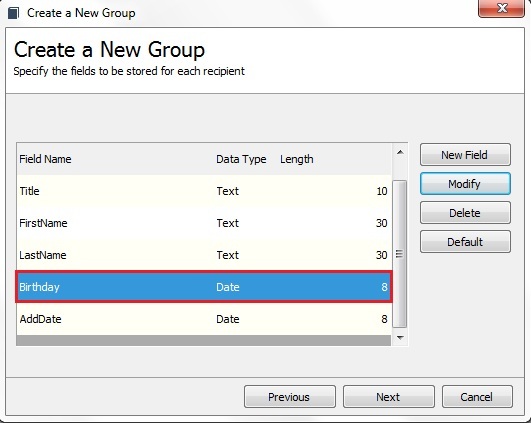 When creating your GroupMail Group, remember to add a “Date Field” to store the recipients Birthday. This will allow you to enter the recipients Birthday. 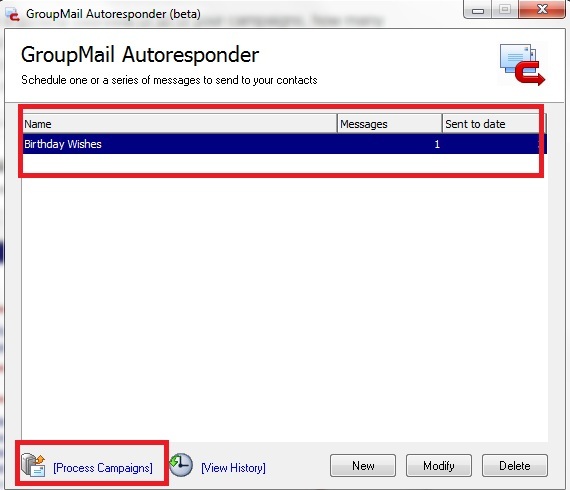 Once you have your Group created and all the recipients added or Imported including their Birthdays, you simply need to configure the GroupMail Autoresponder. 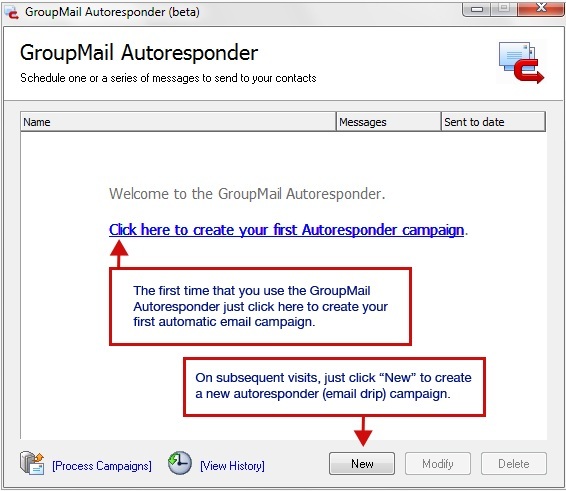 To launch the GroupMail Autoresponder, click on the Autoresponder button from the Add-On menu in the toolbar. Click to create a new automatic email campaign. Enter a name for your campaign, select the group you want to send the Birthday Wishes to and Click to create the Message you want to send. To create your Birthday Greeting Message click on ‘New Message’. Save the Message and close the Message Editor. 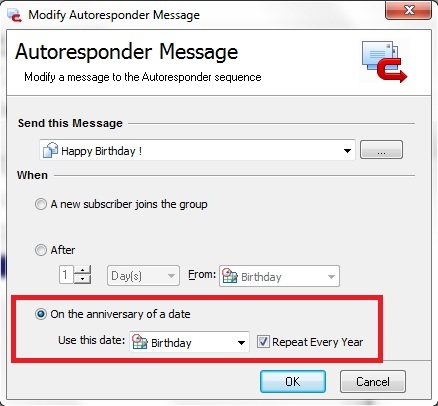 For Birthday Notifications to send select the option ‘On the anniversary of a date’. 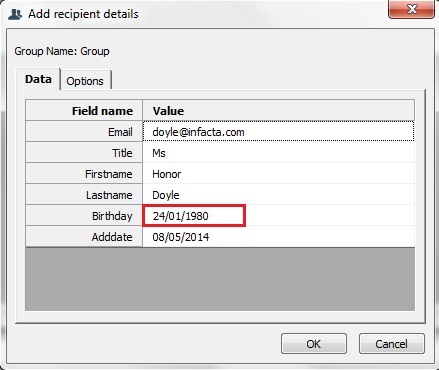 From the drop down list of fields available in your Group select the Field that stores the recipients ‘Birthday’. Finally set it to ‘Repeat Every Year’. You can now see an Overview of your scheduled Birthday Greeting Campaign. You can at any stage Modify, Delete or Create New Campaigns from this screen. We will now process this Campaign to demonstrate how it works. Then, the [View History] Log will show you the date and time each message was sent and which addresses the message was sent to. 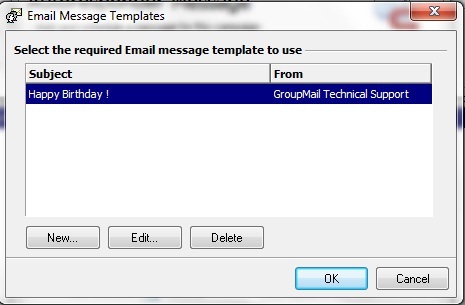 Note : When you create a Campaign it loads the GroupMail Scheduler in your System Tray, which will process any Scheduled Campaigns. 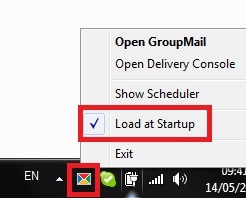 Make sure that you right Click on this little Icon and select “Load at Startup” to ensure the GroupMail Scheduler launches after you restart your machine. The GroupMail Autoresponder also allows you to schedule automatic email marketing drip campaigns to send when new subscribers join your mailing list. 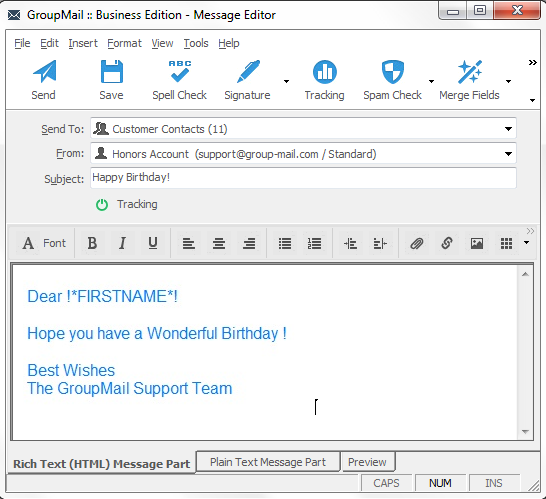 The GroupMail Autoresponder is available in the GroupMail Business Edition and Marketing Pack only. New GroupMail customers can buy the GroupMail Business Edition here. GroupMail Personal Edition customers can upgrade to the GroupMail Business Edition at any time and just pay the difference in price.